Hello beautiful people. How are you all on this cold, bitter, icy day? I think I may have developed a problem or slight addiction. Hay I knew it was coming and I did warn everyone but no one believed me. Until this happened…….. I own 25 lippies!!!! Yay. Anyway these are the newest additions to the collection. (keep reading for a surprise at the end!!) All from Nyx (who ever introduced me to Nyx, while I say thank you, Ross doesn’t!) 😅 Enough of that onto the good stuff. Now I know the light pink is not a winter colour. However I couldn’t resist it. The packaging is adorable plus the colour itself is beautiful. A nice pop of pink that looks great and actually works with me. 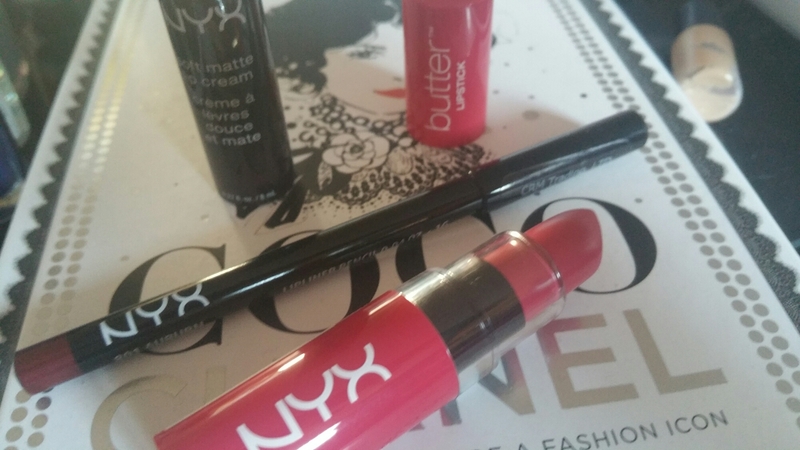 It’s the Nyx Lipstick Butter in ‘Sweet Tart’. The name suits the colour. Plus its super creamy and doesn’t feel like its drying at the moment. Now these 2 are winter colours! Look back up for the swatche on my hand. Both are stunning dark berry colours. 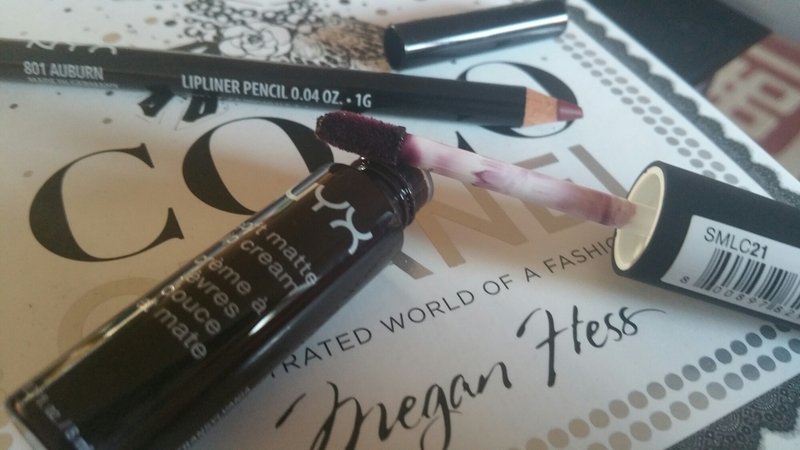 While the lip pencil in ‘Auburn’ is more than a rustic red, like a red grape wjile the matte Lip Cream in ‘Transylvania’ is more like a plum shade. So dark and daring. Love em. Plus love how creamy they are. Hmmmm wonder what to buy next?? Surpise!!!! Yip its blue. I have always said blue is my favourite colour. And can’t leave it without a wee show off. Look how blue it is, oh hay it matchs my nails! I do love the sheer colour and how it’s very different. 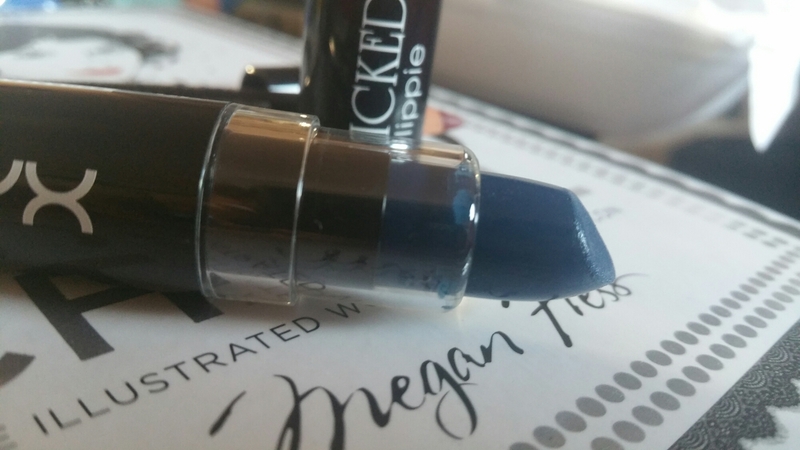 This is from Nyx’s Wicked lippie collection in the shade ‘Sinful’. Perhaps I should wear this more often then. 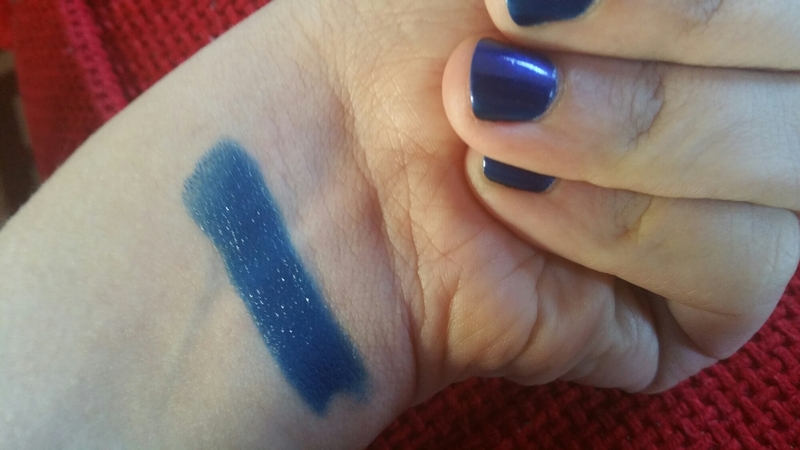 A halloween colour for sure, or cosplay. Anyway until next time my beauties. 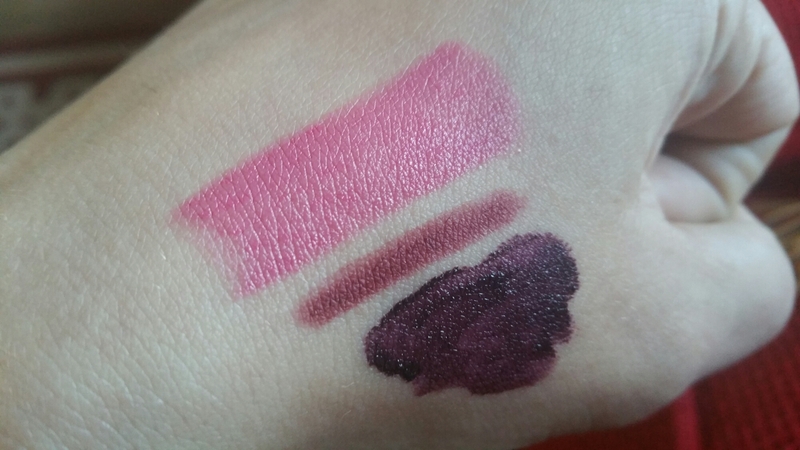 I’m obsessed with the NYX matte lip creams, such good value for money and they are my favourite thing to wear on my lips!